Located in the south of the country, the Mozambican capital hosts Manica Freight Services headquarters and is the centre of the national government. 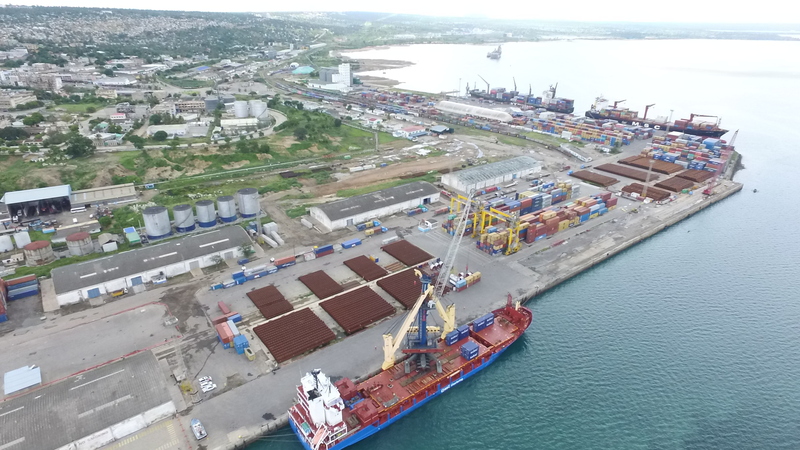 Its port has two most important spaces – Porto Comercial de Maputo (Commercial Port of Maputo) and Complexo Industrial da Matola (Industrial Complex of Matola) – and its geographic position allows handling cargos between Mozambique, South Africa, Swaziland and Zimbabwe. 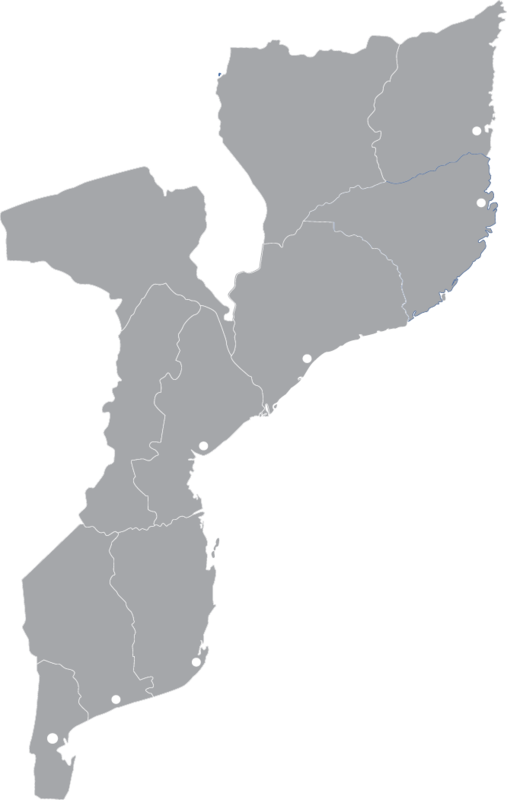 The second largest city in Mozambique, highlighted in history for its port activity and the home to Manica, is the natural entry point to Zimbabwe, Zambia and Malawi. The port is located at 1262km north of Maputo and at 591km east of Harare, and its access is through Macuti channel. It stands out in the African continent for its modernity, especially the dredging of the channel, the container and oil terminals and its link to the railways. Quelimane’s port was modernised in 2006 and is one of the most relevant in Mozambique Channel. Located on the margins of Bons Sinais river, approximately at the middle of the Mozambican coast line, it is favourable to the provision of national and international services – Zimbabwe, Zambia and Malawi. Nacala’s Port is located in the south extremity of Bengo Bay and it is the terminal area for Nacala’s Corridor. It benefits from a railway between the coast of Malawi and Niassa and from optimized conditions of navigability due to the depth of its waters, making it the largest natural deep water port in the Indian Ocean’s African coast. Pemba Bay is internationally recognized as the 3rd largest in the world. Pemba’s Port is located northeast of Maputo and it works as a logistics base for the exploration and production chain of natural gas, oil and its derivatives.